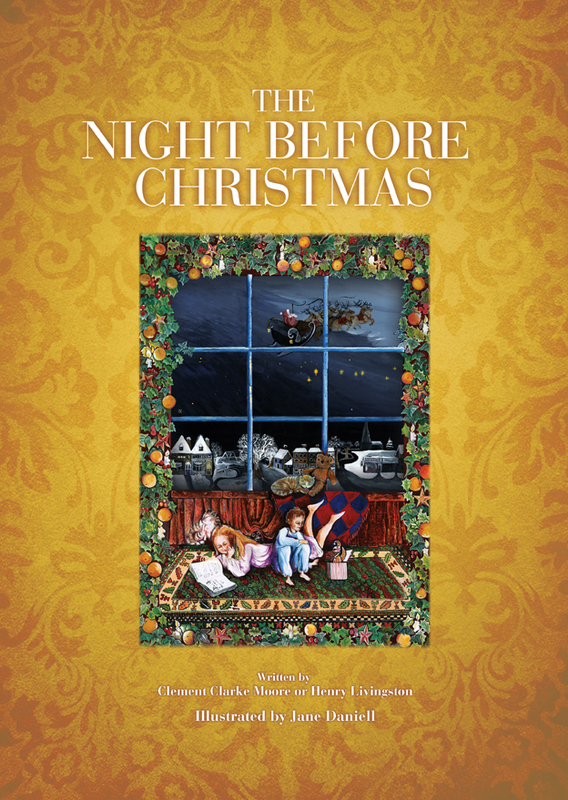 Jane has produced a series of captivating paintings inspired by the poem 'Twas the Night before Christmas' by Kenneth Clarke Moore or Henry Livingston. She then worked with Andrew Candy, creative director at Tentacle to turn the illustrations into a beautiful reading book for children. The book features over 15 of Jane's paintings printed in full colour with an underlying special metallic silver ink which give the pictures an iridescent and magical appearance. Hidden within the endpapers are five cut out card toys which can be hung as festive decorations on the Christmas tree. I have been painting and drawing since childhood and in the last 20 years have built up a portfolio of illustrations, some based on Shakespeareâ€™s plays, some based on the epic â€˜Ryme of the Ancient Marinerâ€™ (Coleridge) and have also completed various commissions including portraits (people and pets). I sell my work nationally and internationally; some as products (t-shirts, playing cards and greetings cards) and some as prints and posters. I like to paint with gouache on a very smooth surface as I can achieve the detail. I started etching 5 years ago and have taken part in several exhibitions at venues throughout London, UK. These have included â€˜Real Art for Real Peopleâ€™ at the Coningsby Gallery in W1, The University Womanâ€™s Club in Mayfair, Burgh House in Hampstead and many more. I make aquatint etchings. This is where the plate is immersed in acid and the line and tones achieved when the acid â€˜bitesâ€™ the areas which have not been masked. The colour is then applied by hand. One colouring achieves only one print.....No mass production here!